The body of Jon Santarelli, 53, was pulled from Lake Michigan a week after he fell overboard from a sailboat in the Race to Mackinac. CHICAGO (WLS) -- A body pulled from Lake Michigan Saturday afternoon was identified as 53-year-old Jon Santarelli, a sailor who fell overboard a week ago during the Chicago Yatch Club's Race to Mackinac. At about noon, the Chicago police marine unit pulled the body from the lake about six miles from Belmont Harbor on Chicago's North Side. The Cook County Medical Examiner's Office confirmed the identity Saturday evening. 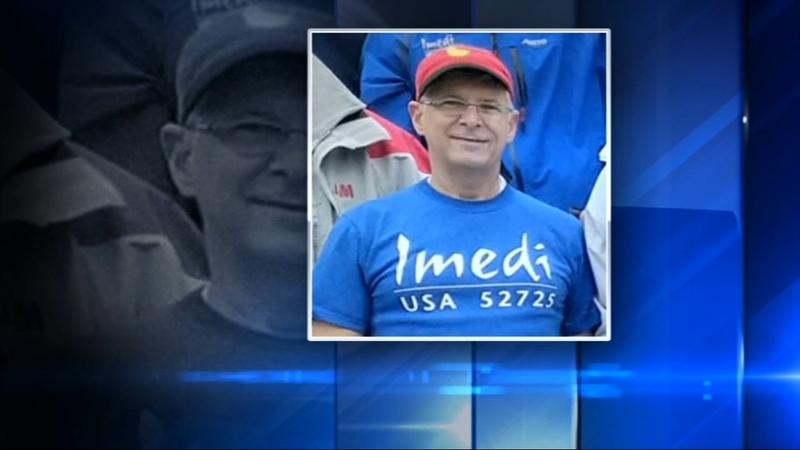 Santarelli, an experienced sailor from Chicago, fell off the Imedi sailboat. The sailboat was hit by a large wave while he was making a routine sail adjustment. The body of a man was pulled from Lake Michigan Saturday afternoon, just six miles from Belmont Harbor on Chicago's North Side. Race organizers said Santarelli was last seen trying to swim towards a flotation device thrown into the water after his life vest failed to deploy. The search for a missing sailor's body who went overboard during the Race to Mackinac continued Monday. In a statement, the Chicago Yacht Club Rear Commodore Nick Berberian expressed sympathy to Santarelli's family, adding "Now that Jon has been recovered, a full investigation can take place including an analysis of the PFD (personal flotation device) he was wearing at the time of the incident." The statement also said that the yacht club would "update competitors and the boating public as we know more details."